Nature Magnified: Of Sparrow meetings and Starling visits. Of Sparrow meetings and Starling visits. There have been developments at my feeding station since I last posted. First of all, as a last ditch attempt to attract more birds I invested in a nyjer (niger) seed feeder and some niger seeds. As in the the month and a half that the peanut feeder hung outside, there was no activity, I replaced it with the niger seed feeder. ....and I think it has paid off. A block away from my house is a hedge which houses a permanent house sparrow population, and I kept wondering why the sparrows wouldnt venture one block away to feed upon the treats offered at my garden. This morning I heard the unmistakable chatter of a sparrow and looked out of my window to see a male house sparrow sitting in my hedge and chattering away as if to ask if to wake up any hidden dangers around. However, he soon flew away. A few hours later I heard the sparrow again and I looked out to see a female sparrow sitting in the hedge and observing every movement around. I think both of them were checking out if the place was safe enough for feeding or if the feeders below were actually a trap. Eventually the sparrow flew away without feeding and wasnt back for the rest of the day. I suppose they have gone away to take a decision if the spot is safe or not. I hope the decision is a favourable one! 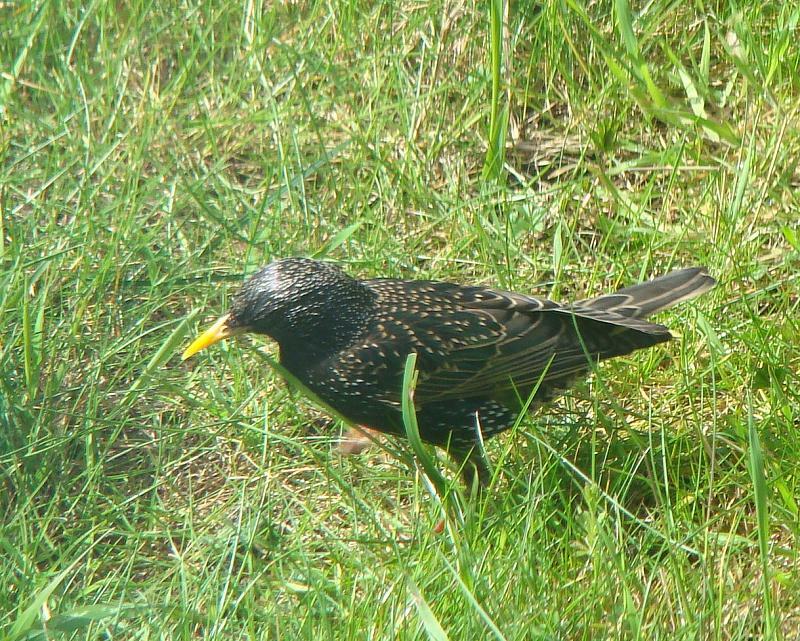 The first time I saw starlings I thought they were amazing birds, I had no clue that they were so common. Their spotted metallic sheen and yellow beaks are atrractive enough, but in addition to that their songs are just as interesting. I`d mentioned in one of my earlier posts how a couple of them had been foraging in my garden. Well , they were back today. 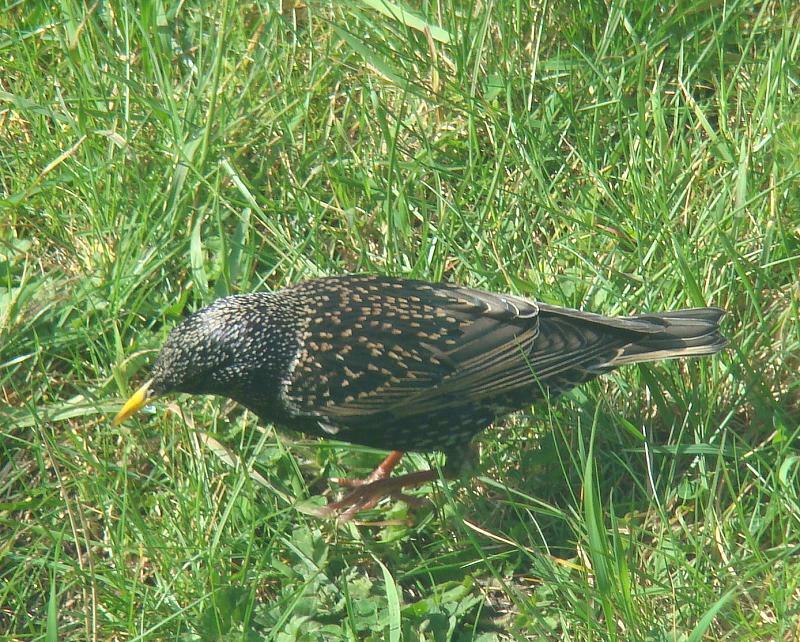 They seem to have no interest in the feeders though and prefered to dig insects out of the ground. Anyway, I didnt waste any time and I was snapping away before these quick footed birds vanished around the corner.